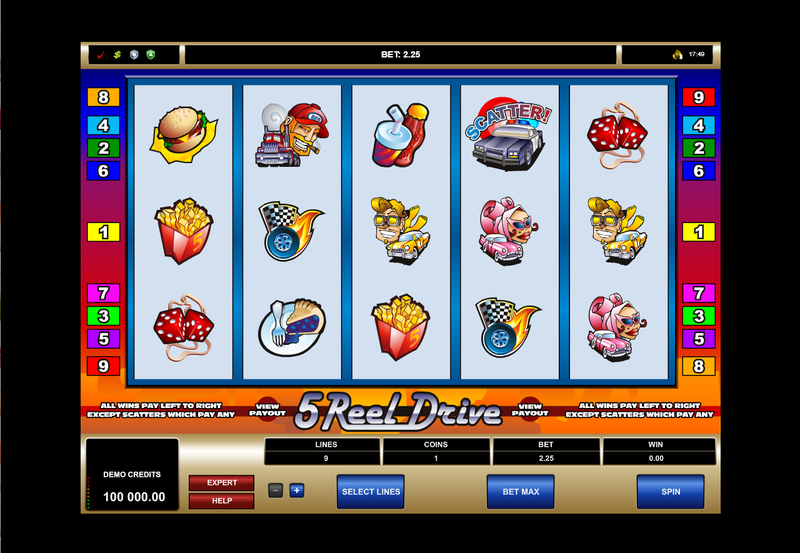 5 Reel Drive slot is a game based on the Great American road trip, which has been developed by software developer Microgaming. It consists of 5 reels, 3 rows and 9 paylines, presenting a very standard looking video slot. The games Wild symbol substitutes for all symbols except the scatter, but only appear on reels 2, 3 and 4. There is a Scatter symbol, which doesn't offer a free spins feature, but does deliver some pretty big wins - especially if you see more than 3. 5 Reel Drive has a bit of a dated look to it, but for those that love a game that offers some ridiculous winning possibilities . This colourful game has a generous RTP of 96.96%, which also adds to its popularity and you can play it over multiple devices such as mobile, tablet and desktop. Other driving games that are popular include NetEnt's Drive Multiplier Mayhem and Bally's Wacky Races, with many more available across the vast array of developers.